A frozen garden hose can cause more damage than a broken hose because it can actually burst an interior pipe. When the water in the hose freezes, it expands, increasing pressure throughout the whole plumbing system. As part of your regular seasonal maintenance, garden hoses should be disconnected, drained, and stored before the first hard freeze. If you do not have frost-proof spigots, close the interior shut-off valve leading to that faucet, open and drain the spigot, and install a faucet insulator. (see picture below). They cost only a couple bucks and are worth every penny. Exposed pipes in the basement are rarely in danger of freezing because they are in a heated portion of the home. However, plumbing pipes in an unheated area, such as an attic, crawl space, or garage, are at risk of freezing. 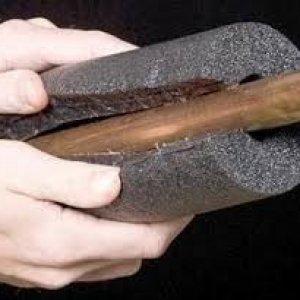 Often, inexpensive foam pipe insulation (see picture below) is enough for moderately cold climates. 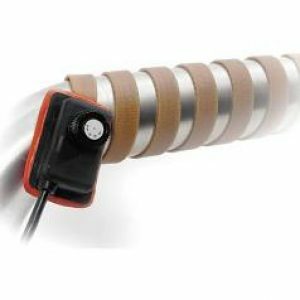 For severe climates, choose to wrap vulnerable pipes with thermostatically controlled heat tape which will turn on at certain minimum temperatures. Heat tape (see picture below), is a flat ribbon that is coiled around the pipe like a corkscrew and uses electricity to keep the pipe warm, like an electric blanket. If the temperatures have dropped into freezing degrees (you should be concerned when below 20 degrees F) and they intend to stay there, turning on your faucets — both indoors and out — can keep water moving through your system and slow down the freezing process. There’s no need to waste gallons of water: Aim for about five drips per minute. If your pipes are already on their way towards freezing, wrapping them with warm towels might do the trick. You can cover them with the towels first and then pour boiling water on top or use already-wet towels (use gloves for this). This should help loosen the ice inside and get your system running again. Have your pipes already frozen? Turn off the water immediately. Make sure to close off any external water sources, like garden hose hookups. This will prevent more water from filling the system, adding more ice to the situation, and eventually bursting your pipes.. 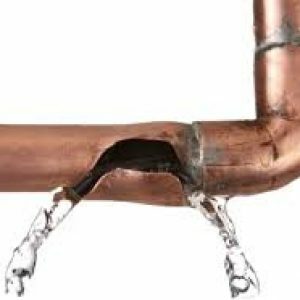 This will also help when the water thaws; the last thing you want after finally fixing your frozen pipes is for water to flood the system and your home. 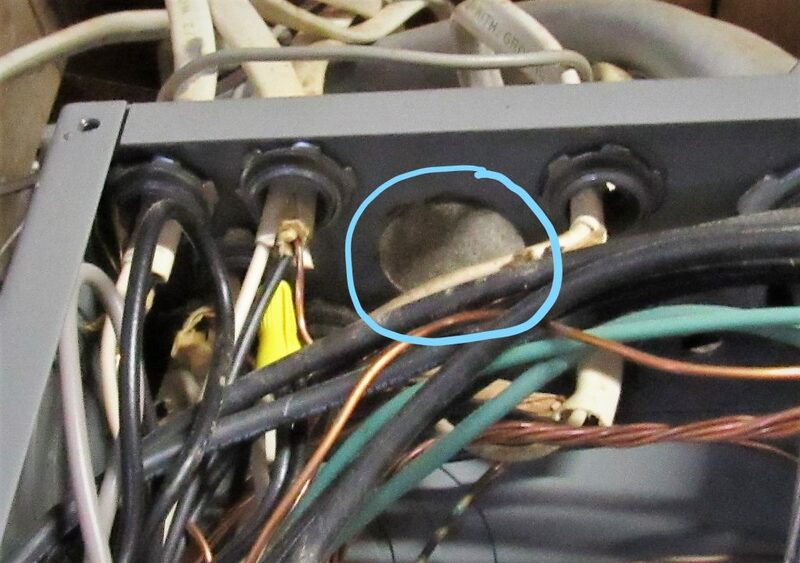 At a recent home inspection I was at the electrical panel and I noticed rust on exterior corner of the box. Red flag! Upon opening the panel cover I found a bunch of insulation and, sorry to say, a dead mouse (pew!). Further review of the panel, if found that there was a missing “knockout”. A “knockout” is a piece of metal that is a pre-scored opening that you knock out to insert wires. Sometimes wires are added and others are relocated. 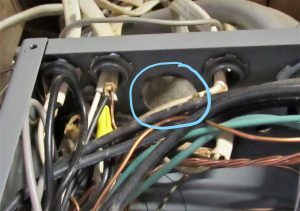 Not knowing what the reason was for this particular instance, not plugging the open “knockout” resulted in a mouse that started a nest in the panel. I do not know if the little guy died because he got trapped or if he got zapped. If he was in a different place on the panel and got zapped, a fire might have happened. 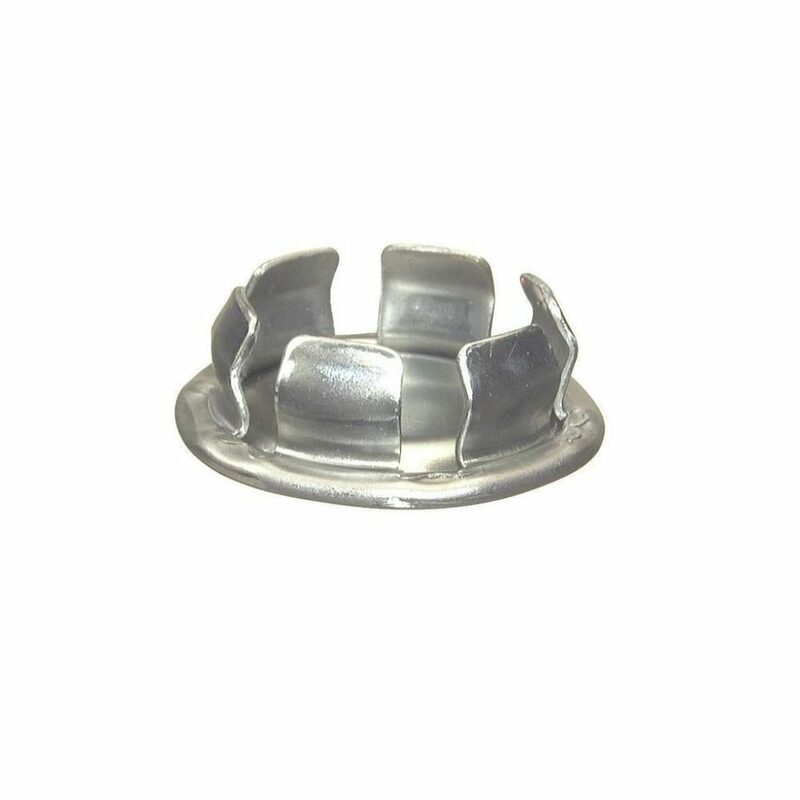 A “knockout” plug is a small circular piece of metal that blocks open knockout. It is a inexpensive item found at most hardware stores. So take a few minutes to look over you electrical panel to see if you have any open knockout and call an electrician to inspect the inside of the electrical panel for anything out of the ordinary. In older homes the original wiring did not have ground wire connected to the outlets. These ungrounded outlets are easily distinguished by their two hole / slot configuration verses the newer grounded type of outlet that has three holes / slots. Ungrounded outlets that have two holes / slots used in a home that was originally wired in this manner and has not been rewired are considered acceptable. The problems for the owners of older homes start when grounded type outlets are substituted for the ungrounded type without the necessary rewiring that adds a ground wire to the new three prong grounded type outlet. Grounded type (three hole / slot) outlets may not be substituted for ungrounded outlets unless a ground wire is connected. An exception to this rule is allowed by the National Electric Code, when the outlet is protected by a ground fault circuit interrupter (GFI or GFCI). The first fix uses Ground Fault Circuit Interrupters. There are two types of GFCI available, one takes the place of the regular circuit breaker in the load center. The second type that is available takes the place of the standard outlet and replaces it with a special GFCI protected outlet. These are commonly used in the kitchens and bathrooms of newer homes. Most people know them for their black and red reset buttons. The second fix – In many older homes the outlet mounting box was grounded but the outlet was not, if this the case it is possible to use a jumper between the mounting box and the grounding screw on the new grounded type outlet. I found this to be the cutest thing ever. 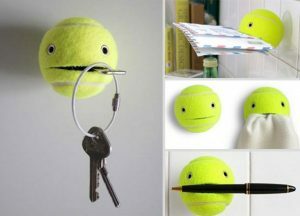 Take a nice fresh tennis ball and cut a small horizontal line into. 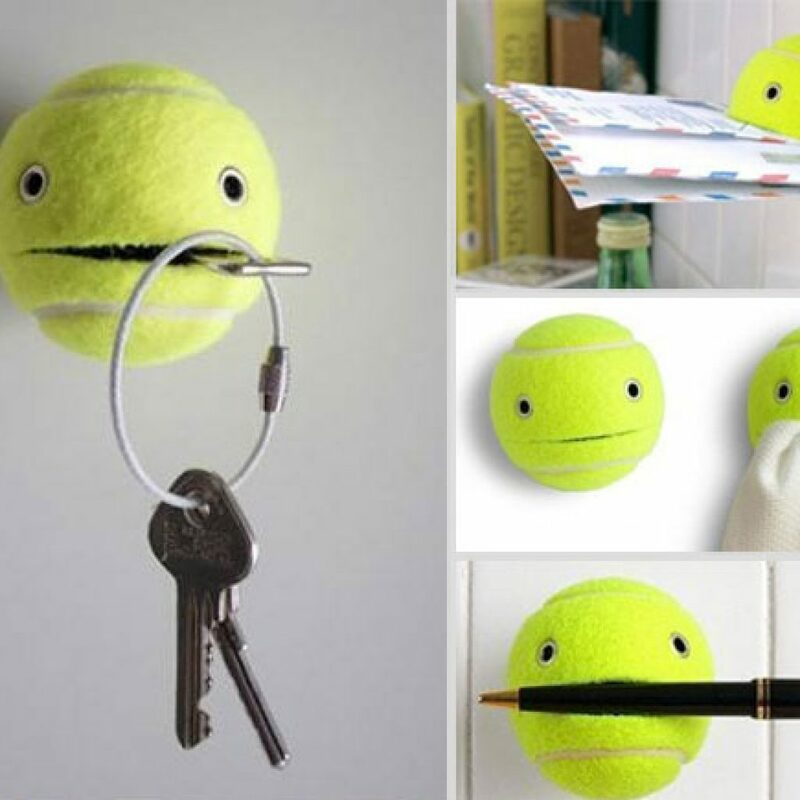 Next glue some googly eyes to the tennis ball. Then find the appropriate spot to hang it. Insert a screw into the mouth of the fuzzy helper and fasten it to the surface of your choice. Ta Da! The tennis ball helper is ready to help! 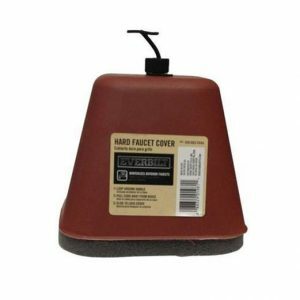 Next time you are in the paint department, pick up a 3-inch roller frame, the type that takes the same diameter cover as a standard 9-inch roller frame. 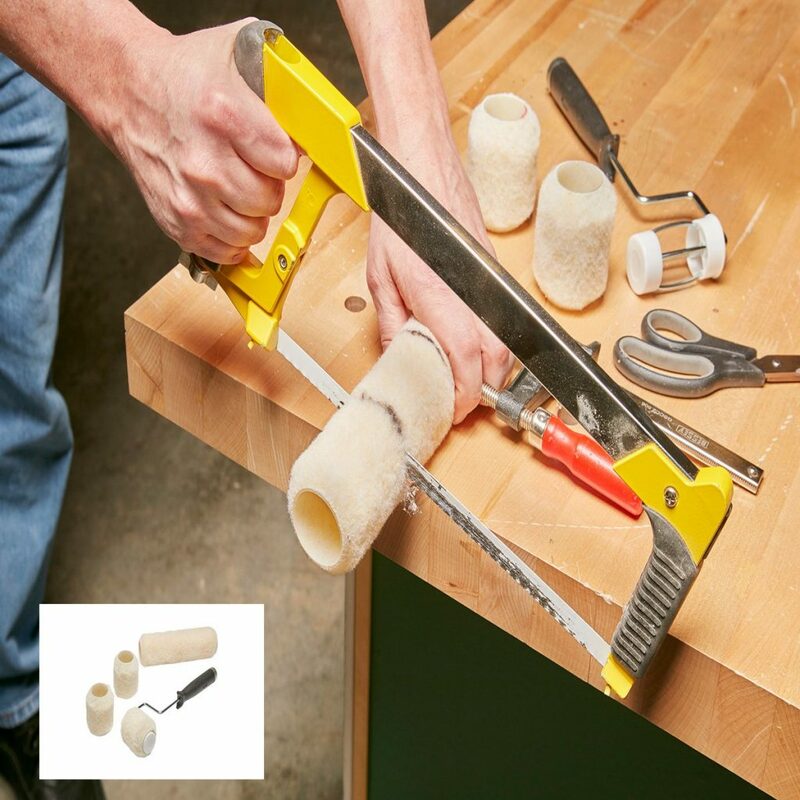 You can then cut any 9-inch roller cover into three 3-inch covers to fit your 3-inch roller frame. A 3-inch roller is perfect for painting above a door frame or other projects where a 9-inch roller would be too large. Mark the 9-inch roller cover 3 inches from each end. Cut into equal pieces with a hacksaw, holding the cover steady with a bar clamp. Trim the rough edges of the nap with scissors. Voila! You now have three 3-inch roller covers! Happy painting! 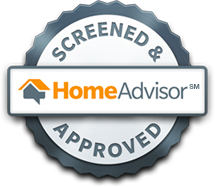 You probably read a dozen articles on a dozen home inspections sites as to why you as a seller should have an inspection done before you put your home up for sale. Well let me tell you a tale of my personal experience of a Pre-Listing Inspection. My sister and I had to put our parents’ house up for sale. It was a 52-year-old ranch style home. It was the home of an electrician. We had selected a realtor, who upon doing a walkthrough of the house suggested putting the house on the market for $150,000 hoping to get $140,000. Following the recommendation of the inspector, we were able upgrade the electrical, clean out the basement, which may or may not have had mold. Fixed the leaks in the foundation walls. We invested about $6,000 to increase the value of the house to $175,000. We ended up getting $179,000 for the house based upon the issues found in the inspection report and correcting them. I think the price we paid for our Pre-Listing Inspection was worth an extra $29,000!